You’ve heard all the horror stories, right? OSHA comes into a factory or onto a construction site and things are such a mess they immediately shutdown all operations. Work stops. That steel beam being lifted into place by that crane? Leave it hanging. Those trucks full of concrete? Let them go to waste. Shut down that assembly line and kill the lights. The doors slam, chains go through the handles and a big, fat padlock gets slapped into place. 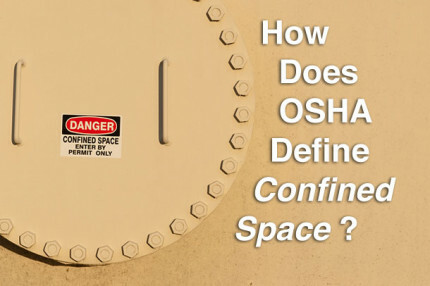 So why this pervading belief that OSHA can shut you down? Well, it’s a pretty natural assumption that if a government agency is tasked with enforcing a regulation that they’d be able to stop a company that was in violation of that regulation. In reality, maybe work does stop when OSHA shows up, but not because they’ve shut anyone down. I have seen some companies, terrified of receiving a citation, actually tell everyone on their jobsite to stop working when OSHA showed up. This is pointless. 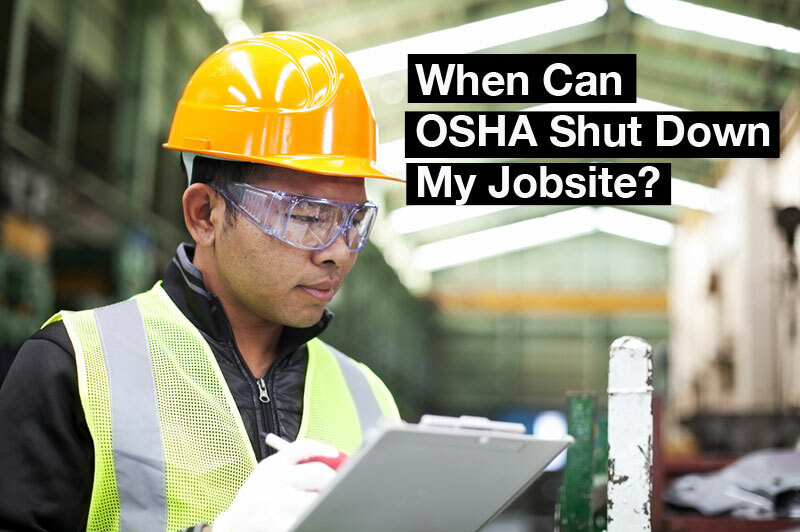 OSHA can do their inspection over the course of days or weeks and there’s certainly no way a company is shutting down production for that long. Trust me, they can and will outlast you. Other times, and probably most frequently, OSHA requests that a company shut down something that the inspector deems to be imminently dangerous. Smart companies agree to the request. Because it’s certainly hard to plead ignorance when the government agency in charge of enforcement just told you that you’re doing something wrong and putting your employees in immediate danger, yet you refuse to do anything about it. While ‘pleading ignorance’ isn’t exactly a viable defense (ignorance of the law is not an exemption from the law), a refusal to stop the dangerous task in question certainly could bump you up from a Serious Violation to a Willful Violation (thereby bumping your citations from up to $7000 per person exposed to up to $70,000 per person exposed).And, notice that I said ‘the dangerous task in question’. Even in this scenario, we’re talking about a task, not the entire jobsite. Should OSHA want to go to court to get an order to stop the work (yes, the courts are the only ones with the power to order you to shut down), they are going to have to show that the hazard presented an imminent danger that could not be solved through the normal channels of enforcement. This is not easy to do and, frankly, is time consuming. If the site in question is a construction site where things change on a daily basis, odds are the task in question is over before OSHA gets to see a judge. I assure you, however, that if you’re reading this thinking, “Well, then it seems the best play is to refuse, have them get a court order, and finish in the meantime,” that forcing OSHA’s hand is not the best strategy. Just as a company could refuse OSHA entry to their jobsite without a warrant, it is not really the best plan. First of all, they will get the warrant and now you’ve gotten off to an adversarial start with a government agency in charge of enforcement. And let’s be honest, if you refused them entry – chances are there was something you were worried about them finding. Employees will be interviewed and you will not know what they were asked or what they responded. You cannot ask them. So, they will let OSHA know every complaint they have or every infraction they’ve seen, even if you managed to ‘clean it up’ before OSHA showed up with the warrant. This is similar to what you could expect if you refused to listen to OSHA when they requested you shut down a task that they deemed to be imminently dangerous. Rather than have an inspector or OSHA office willing to work with you in any way, you’re now toe to toe. OSHA now has legitimate reasons to escalate your penalties and probably does not harbor the greatest of goodwill toward your organization. Whatever hole you were in before has been dug deeper. Your best defense is to remain compliant with OSHA regulations and respond in a timely manner to any concerns or complaints employees may have. OSHA’s manpower is extremely low compared to the number of workplaces out there, therefore, having them randomly show up on your site is remote unless you are either a huge profile job or they begin to receive complaints. Keep your employees happy and show them that you are genuinely concerned for their well-being and you increase your chances of staying in the clear. However, beyond that, make sure that you fully understand the OSHA inspection and citation process. 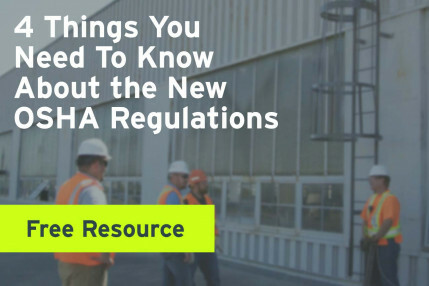 What OSHA can do is enter any workplace under its jurisdiction without delay, during business hours or at other reasonable times, inspect in a reasonable manner within reasonable limits, all the processes, equipment, documentation, structures and environment, and interview employees and/or their agents. They do this through a very specific process that you need to know how to manage to reduce your risk of citation. Perhaps worrying about OSHA coming in and shutting down your facility is the least of your worries. Review your processes and procedures now. Keep your workers safe. Listen to the advice of an OSHA inspector. But, whether you do any of these things or not, I assure you that no inspector is about to show up wielding chains and padlocks.